Your children are destined to be more than “kids-gone-wrong” society statistics. They have infinite potential to rise far above loneliness, rejection, dejection, depression, stigmatized traits, and disadvantage. • Pull your family out of the dysfunctional swamp and into whole living. • Avoid ‘morale’ decay and raise your child’s value quotient. • Free your child to be a child, resurrect his or her hopes and dreams. • Reduce the impact of negative influence. • Lead your children to Christ and keep them walking with Him. • Identify vulnerabilities and deal with the tough stuff kids are into. 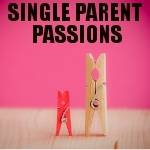 As a single mom currently raising her son; herself raised in both a broken home and a whole foster home , and drawing from her experience caring for single-parented children and from the experiences of others, author Shae Cooke sees both sides of the parent and child struggle, and the possibilities. With wit, humor, and honest transparency concerning her own family’s imperfect state, The Single Parent’s Guide to Raising Godly Children offers practical, realistic, and proactive suggestions and resources to help relieve the analysis paralysis, worry, and guilt so often associated with the task of solo child-rearing, ultimately freeing the family into whole living. The Single Parent’s Guide to Raising Godly Children is the first book in The Single Parent’s Guide Series.